Ramsey House was built in 1797 by Knoxville’s first builder, Thomas Hope, for Francis Alexander Ramsey. The home is constructed of Tennessee pink marble and blue limestone. It was known at that time as the finest home in Tennessee. The structure is significant for its original interior and exterior architectural features and its period decorative art collection. The Ramsey Family was one of the first families to settle the Knoxville area. They played vital roles in developing civic, educational and cultural institutions. Colonel Francis A. Ramsey was one of the founding trustees of Blount College, now the University of Tennessee. One of his sons, Dr. J.G.M. Ramsey authored an early history of the state, The Annals of Tennessee. Another son, William B.A. Ramsey, was the first elected mayor of Knoxville and the Secretary of State for Tennessee. The historic house was bought in 1952 by the A.P.T.A., along with one acre of land. 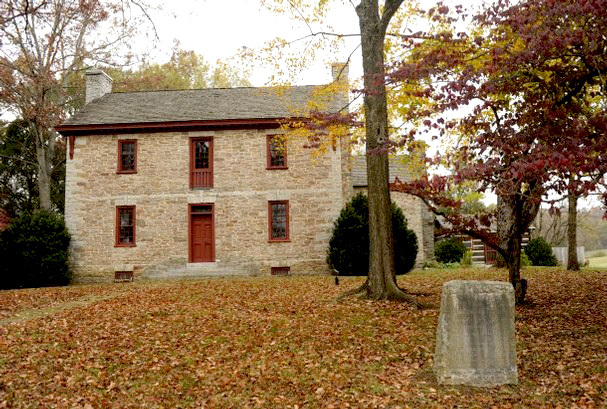 Today, the site consists of 101.5 acres; a historic house restored and furnished to the period of Francis A. Ramsey’s occupancy (1797-1820) and a Visitor Center located in a beautiful country setting. Historic Ramsey House is listed on the National Register of Historic Places. Details from the Ramsey House. Frank Sparkman serves on the Board of Directors and as Chair of the Long Range Planning and Building Committees.